A growing number of both scientists and artists is becoming deeply unhappy with the still dominant view that art and science are largely unrelated – a view that is reinforced on all sorts of levels (institutional, educational, social status, and so on). They argue not only that science and arts can benefit enormously from what ‘the other side’ has to offer, but many also question the very presumption that we are dealing with fundamentally different areas of interest. 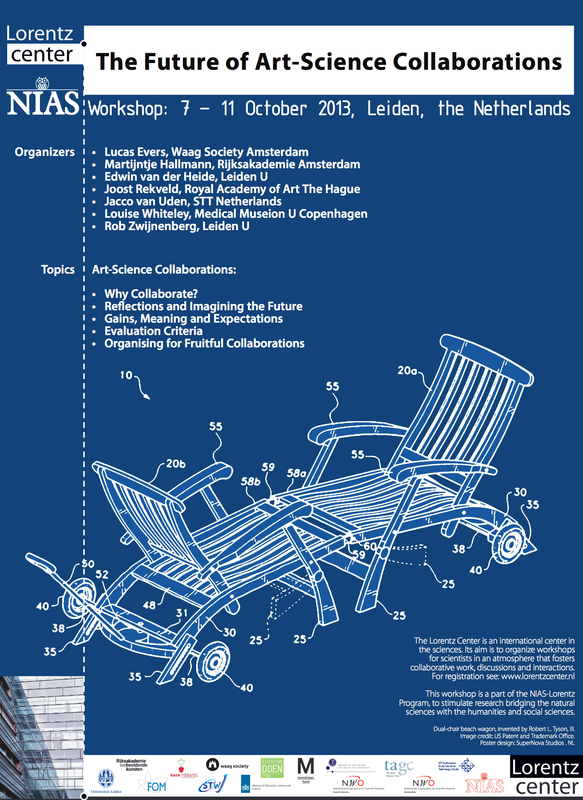 The ambition to (re)unite art and science has given birth to a large number of so-called art-science collaborations. These projects are often met with great enthusiasm. But what to make of them? What is the rationale behind art-science collaborations and how valuable are they really? The Lorentz Center is an international center in the sciences. Its aim is to organize workshops for scientists in an atmosphere that fosters collaborative work, discussions and interactions. This workshop is a part of the NIAS-Lorentz Program, to stimulate research bridging the natural sciences with the humanities and social sciences.